Gumby, the world’s original clayboy and legendary pop icon is the subject of a new retrospective art book. 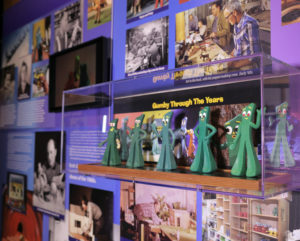 Gumby creator Art Clokey was an animation pioneer, and his characters Gumby and pony pal Pokey, along with Davey and Goliath, have shaped generations of childhood memories and have touched the hearts of fans worldwide. In celebration of Gumby’s 60th anniversary, Art’s son Joe and his wife Joan have written Gumby Imagined, a comprehensive biography of Art and his characters. At 300 pages and packed with hundreds of photos and fascinating stories, this is the ultimate compendium. It’s an amazing pictorial history with never-before-seen photos. Get yours here. 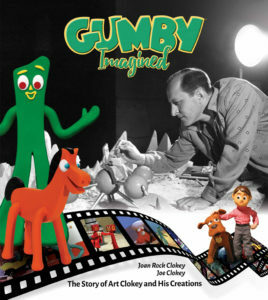 Gumby Imagined is a complete biography that chronicles the tragedies and triumphs of Art Clokey’s life. It’s a true “American Dream” tale. In the book you’ll see how Art’s life shaped the characters and stories he invented. Hard-hitting childhood struggles resulting in placement in a home for abandoned boys during the Great Depression. A dramatic turnaround. Adventure. World War II photo reconnaissance behind enemy lines. A lucky break. Partnerships made and dissolved. Spiritual seeking. Creative freedom. Art films. Hard work and play. Success and loss. Talented artists and crew…. This personal and inspiring story brings it all together. “The most fascinating life story I’ve ever known just happens to be about my dad, mom and the world famous characters they created. Art Clokey’s journey intersects and influences major touchstones of our American life. The sixty-year, behind-the-scenes story of Gumby and Davey and Goliath, interwoven with a rich tapestry of photos and rare anecdotes, weds perfectly with Art Clokey and his amazing life,” says Joe Clokey. “Gumby Imagined is a fascinating ‘page-turner’ with never-before-told stories about this clay animation pioneer beginning with his childhood tragedies. Learn about how Art got his start in the biz, his groundbreaking stop-motion TV commercials, trippy art films, and the most comprehensive look ever presented of the beloved shows. Explore Art’s fascination with the counter-cultural creative winds of the late ’60s and ’70s, infused with his spiritual learning from Christianity, Zen Buddhism and Eastern avatars. All of which provided the foundation for Art’s creative works,” continues Joe. Having entertained generations of fans since his introduction in the early 1950s, Gumby–unforgettable, kind-hearted, flexible–is firmly rooted in American culture. Art Clokey made an indelible mark in the world of animation and i nfluenced thousands of artists. A teacher at heart, he mentored many creatives who went on to be stop-motion superstars known for their work on iconic films such as Star Wars, Terminator, Beetlejuice, Nightmare Before Christmas, Toy Story, Kubo, and many other blockbusters. Joan and Joe are available for presentations and book signing events. 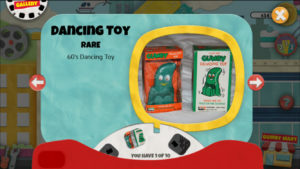 Their “Gumby Through the Years” video/live presentation has sold out at Comic Con, Gumby Fest and other venues. Please contact us here for more information. Gumby, the unforgettable stop motion character, has entertained generations of fans since his introduction in the early 1950s. Now, Dynamite will release the essential compendium to his 60-year history in 2017, featuring an incredible retrospective on not only the characters themselves, but a look into the life of their creator: Art Clokey. “The most fascinating life story I’ve ever known just happens to be about my dad, mom and the world famous characters they created. 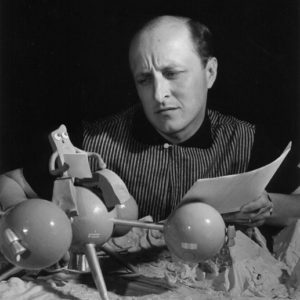 Art Clokey’s journey intersects and influences major touchstones of our American life. The sixty-year, behind-the-scenes story of Gumby and Davey & Goliath, interwoven with a rich tapestry of photos and rare anecdotes, weds perfectly with Art Clokey and his amazing life,” says Joe Clokey, son of Gumby creator, Art Clokey. “This book will be a fascinating ‘page-turner’ with never-before-told stories about this clay animation pioneer. You’ll see Art’s friendship with East-West philosopher Alan Watts. His love and partnership with his wife Ruth Clokey and later with Gloria Clokey. Explore Art’s fascination with the counter-cultural creative winds of the late 60s and 70s, infused with his spiritual learning from Christianity, Zen Buddhism and Eastern Avatars,” states Joe Clokey. Dynamite Entertainment’s beautiful Gumby retrospective will be released in 2017. Look for details on pricing, format, and release in the coming weeks, along with news of other future Dynamite Gumby products! Dynamite was founded in 2004 and is home to several best-selling comic book titles and properties, including The Boys, The Shadow, Red Sonja, Warlord of Mars, Bionic Man, A Game of Thrones, and more. Dynamite owns and controls an extensive library with over 3,000 characters (which includes the Harris Comics and Chaos Comics properties), such as Vampirella, Pantha, Evil Ernie, Smiley the Psychotic Button, Chastity, and Peter Cannon: Thunderbolt. In addition to their critically-acclaimed titles and bestselling comics, Dynamite works with some of the most high profile creators in comics and entertainment, including Kevin Smith, Alex Ross, Neil Gaiman, Andy Diggle, John Cassaday, Garth Ennis, Jae Lee, Marc Guggenheim, Mike Carey, Jim Krueger, Greg Pak, Brett Matthews, Matt Wagner, Gail Simone, Steve Niles, James Robinson, and a host of up-and-coming new talent. Dynamite is consistently ranked in the upper tiers of comic book publishers and several of their titles – including Alex Ross and Jim Krueger’s Project Superpowers – have debuted in the Top Ten lists produced by Diamond Comics Distributors. In 2005, Diamond awarded the company a GEM award for Best New Publisher and another GEM in 2006 for Comics Publisher of the Year (under 5%) and again in 2011. The company has also been nominated for and won several industry awards, including the prestigious Harvey and Eisner Awards. Founded by Art and Ruth Clokey, Premavision/Clokey Productions stop motion animation studio is best known for creating the iconic character Gumby—the world’s original clayboy. 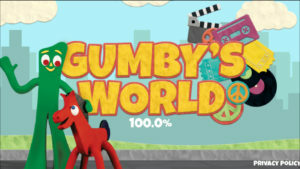 The studio has produced over 200 Gumby TV episodes and The Gumby Movie, as well as the popular Davey and Goliath show. The company’s productions have aired worldwide for 60 years, and the legacy continues under the direction of Joe and Joan Clokey. Panel at Comic Con on Sunday, July 12. 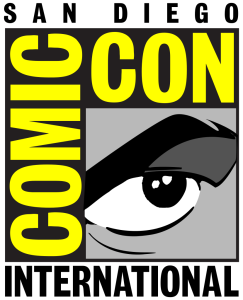 Get a glimpse into Gumby’s world during a panel presentation at Comic Con in San Diego on Sunday, July 12, 2015, at 11 a.m. in Room 29AB. A panel from Gumby’s studio (Premavision/Clokey Productions) and industry experts will discuss the creation of Gumby, stop motion animation and the art and stories of Gumby’s Eisner Award-winning comic books. The family that created the beloved clay boy will share the inside scoop on how Gumby became such a pop culture icon. Art and Ruth Clokey brought Gumby to life six decades ago in 1955. 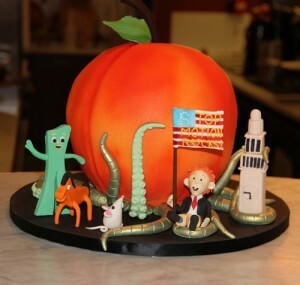 As the world celebrates the 60th anniversary of Gumby being molded from clay, Joe (Art and Ruth’s son) and his wife Joan carry on the family tradition as they head up Gumby’s studio. 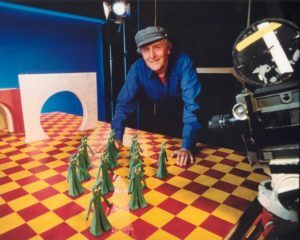 Art Clokey, a pioneer in the field of stop motion animation has inspired generations of artists, animators, photographers, puppet makers, directors and producers. He received the Inkpot Award in 2006 for lifetime achievement. With new productions in the works, and a newly re-mastered library of episodes being released on DVD, Gumby is poised for a major Renaissance. 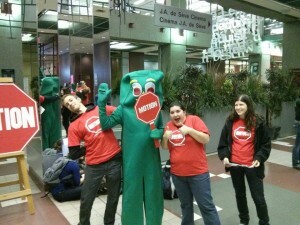 The Clokeys (stewards of the Gumby brand and Clokey Productions/ Premavision Studios), were the Saturday night headliners at the Montreal Stop Motion Film Festival in October, 2013. 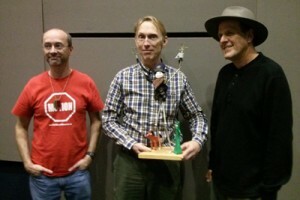 The Clokeys, along with director Henry Selick (Nightmare Before Christmas), were the festival jurors. What an inspiring event! 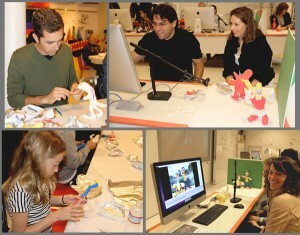 It was a stop motion marathon—over 300 short films were submitted to the competition. Producers, directors, animators, puppet makers, writers, set designers and crew from around the world attended to premier their new films. 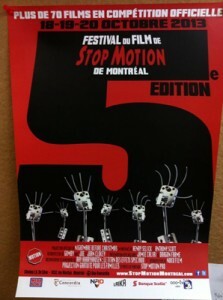 The Montreal Stop Motion Film Festival, which was launched five years ago, is the first festival in the world dedicated solely to stop motion animation. 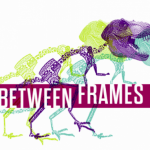 Founder Erik Goulet, an animation professor at Montreal’s Concordia University, frustrated with the lack of attention that stop motion films received at regular film festivals, decided to start his own. He has been generating international attention for this unique art form. Other stop motion animation festivals are now springing up around the world: Poland, Brazil and Mexico. 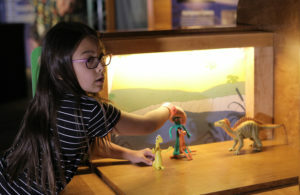 Festival goers learned more about stop motion pioneer Art Clokey and the impact Gumby had on the development of animation during the “Gumby through the Years” presentation. 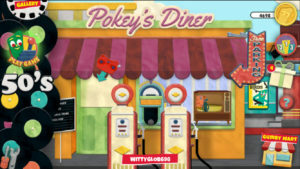 The montage included a sampling of Gumby and Davey and Goliath episodes and excerpts, Art Clokey’s art films and his early commercial work. While a few film and commercial makers were experimenting with stop motion animation in the 1950’s, Gumby was the first stop motion character to have his own TV series. 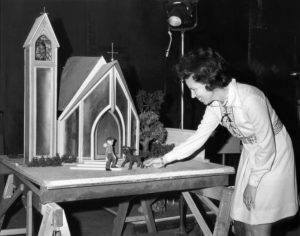 Many of today’s acclaimed animators attribute their break in industry to Art Clokey, who was known for hiring and training young art school graduates. 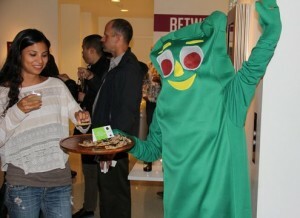 Gumby has inspired thousands in the animation business and continues to stir imagination and creativity. Henry Selick’s presentation included a screening of Nightmare Before Christmas (celebrating the film’s 20th anniversary) and scenes from his features: Coraline, James and Giant Peach and Monkey Bone. 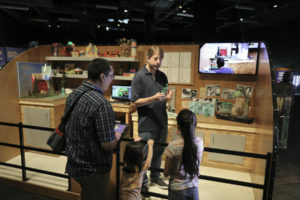 Animation Director Anthony Scott, who learned to animate under Art Clokey and later worked on many of Henry Selick’s films, joined in the presentation to share his anecdotes and perspective on how stop motion has evolved in the last 20 years.